Madison Dallas is a senior at Gaither High School in Tampa, Florida. She will graduate in the top 1% of her class with a GPA of 6.56. Throughout high school, Madison has taken rigorous AP and honors courses while remaining involved in several clubs and co-curricular programs. 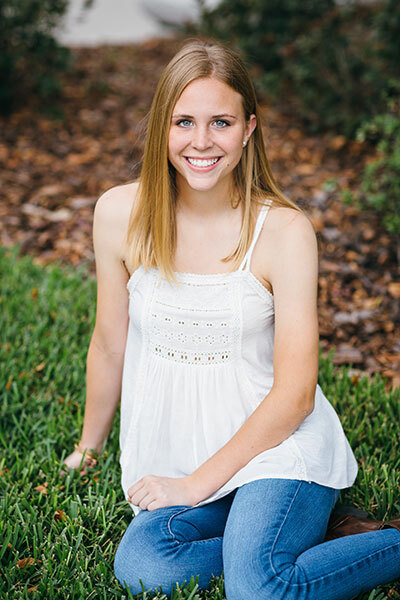 She is a section leader of the Gaither High School band, co-president of Gaither’s Best Buddies chapter, and a dedicated member of the National Honor Society, Beta Club, Legacy, Mu Alpha Theta, and Tri-M.
Madison demonstrates a passion for serving those in need through her almost 180 hours of community service. Through the Best Buddies organization, she advocates for the rights of those with intellectual and developmental disabilities. Madison also volunteers at the Epilepsy Services Foundation, fundraises for Relay for Life, and tutors music students at her local middle school. Madison will attend University of Florida this fall, where she will major in biology and pursue a Pre-Med track. Madison is the daughter of Captain John Dallas and wife, Melanie.